For everyone, who needs access to their business even outside the office. Fullfledged management of your agenda in your pocket. The Billdu iPhone app lets you create an invoice, estimate or purchase order in just a few seconds. 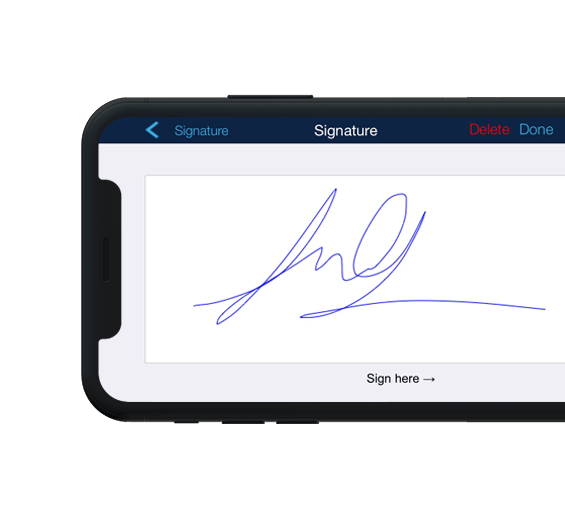 With few taps you can enter all the details you need including taxes, discounts, notes, attachments even client’s signature. Impress your clients with your professional work and professional looking invoices as well. You can choose from our well-designed templates, select your company color, add logo and signature. Create invoice directly on location from order, quote or estimate by few clicks. Create an electronic PDF file with one click and send it to your client straight away. With a printer supporting ePrint or AirPrint you can easily print out your invoices directly as well. 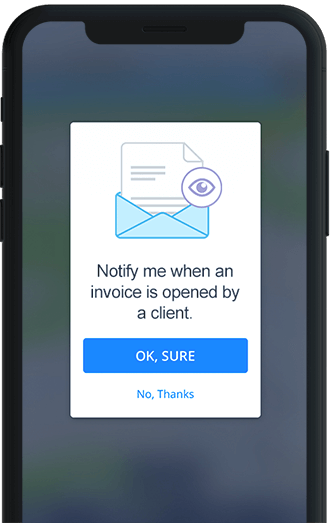 Receive notifications when your invoice or estimate is opened by your client and get notified if invoices have been paid or overdue. 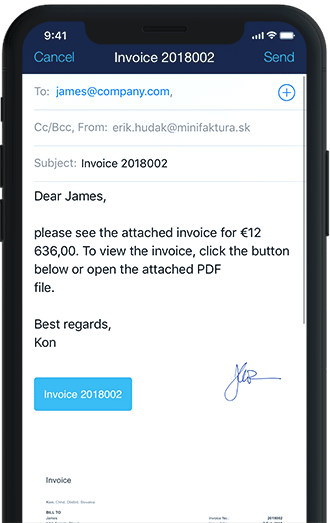 Send personalized reminders to clients with overdue invoices. Stay organized and manage your invoicing agenda in the best way possible! 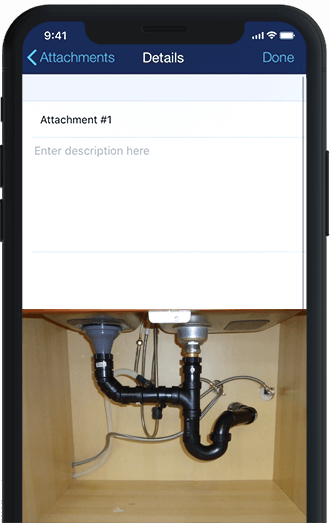 Billdu iPhone App allows you to attach photos and images from Gallery right to your invoices. 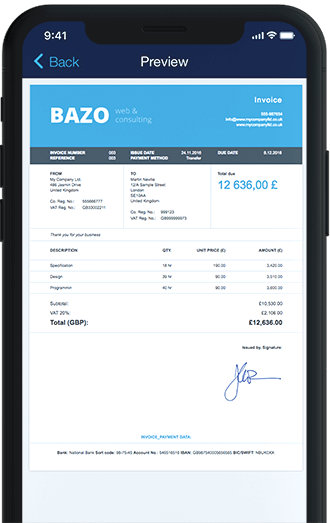 Show your customers products and services they’ve received also on an invoice! For a more detailed information add title and description to attachments. With Billdu mobile app for iPhones your customers can easily sign all your documents by finger right in the device. A signature with a name and time-stamp will be placed right onto an invoice. 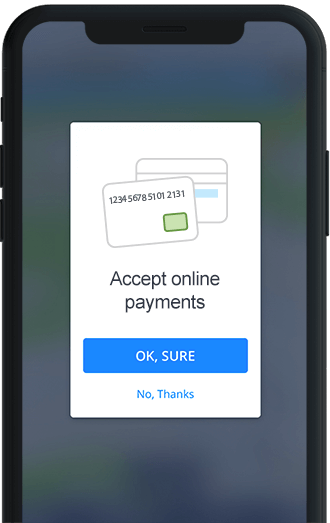 Let your customers pay online with credit or debit card straight away. Add a Pay Now button to your invoices and receive your hard-earned money up to 9 days faster. Tidy up your expenses. Save all in one place, don’t lose a single one. Billdu app for your iPhone gives you the option of an uncomplicated expense management. 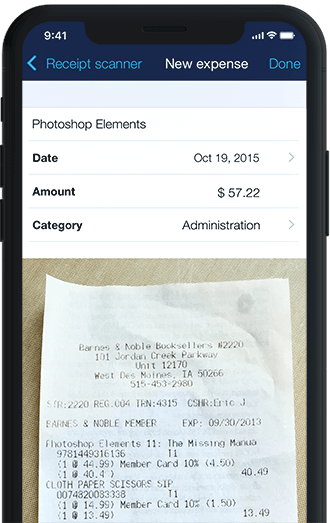 Take a picture of a receipt or add an invoice as PDF-file directly from your e-mail app right to Billdu. The document will register among others in your Expenses section in both mobile app and website. Why Choose Billdu Invoice App for iPhone? 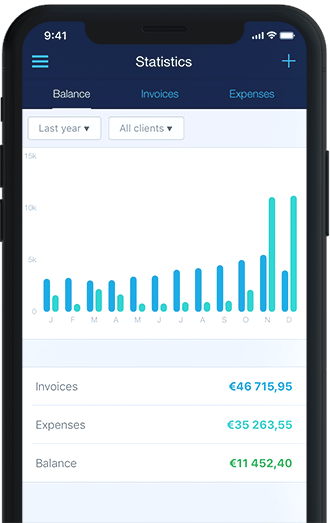 Creating invoices in the Billdu iPhone app enables you to achieve a high efficiency and invest the saved time in your business. 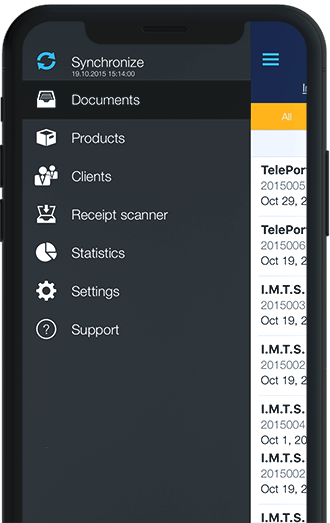 Billdu iPhone invoice app and online dashboard offer the greatest comfort for operating and monitoring your business.